Peace and quiet were encouraged at Ojo Caliente Hot Springs. 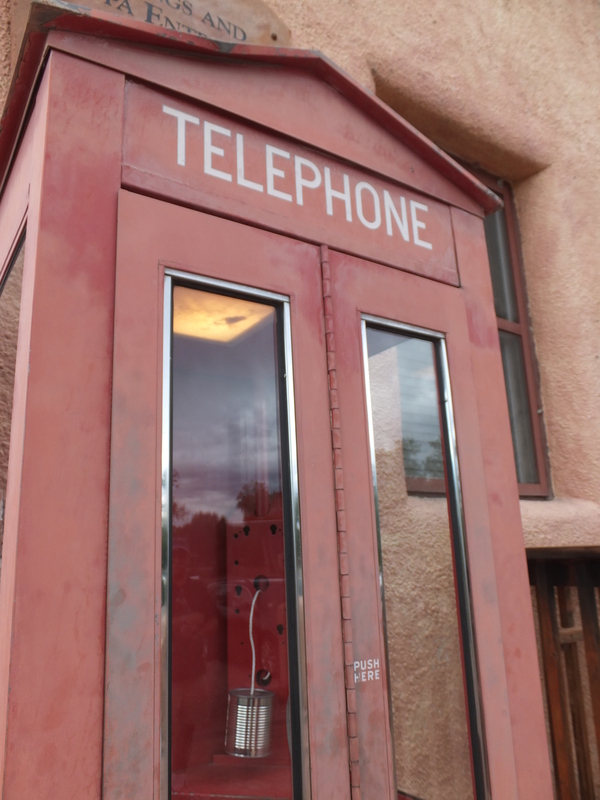 Not only did the management have people walking around with “Whisper Please” signs when it seemed people were getting too loud at the pools, cellphones were prohibited in most public places, the rooms did not have phones, and this was the public telephone. I was struck by another mild anxiety attack this afternoon, perhaps brought on by more prospective storms, so I am home curled up with Mr. Man, and remembering being happy and relaxed over the last two weekends.